Nothing. It is perfectly OK with God. If more people understood the truth set forth in Acts 17:26a (NKJV), that would go a long way toward solving racial prejudices and problems. It says that God “…has made from one blood every nation of men to dwell on all the face of the earth….” What does that mean? It means that everyone on earth came from the same two folks, and, in that figurative sense, all men are brothers. Thus no one is inherently any better or worse than anyone else. Within the gene pool of Adam and Eve, God put the potential for the whole spectrum of ethnic variety that is found among mankind today. Through the centuries, Mendel’s Law basically accounts for the range of skin color and physical characteristics we see today. 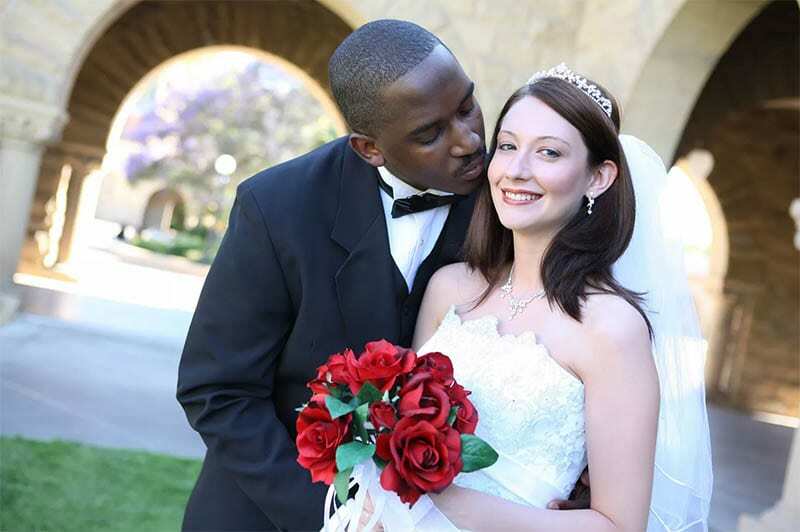 The Bible says nothing about a person of one race marrying someone of another race. However, inter-racial or inter-cultural marriages often present some unique challenges that the two parties are well advised to carefully think through, independent of the heat of romantic passion. These would include close relatives living across the world, language barriers, and other cultural differences that are sometime challenging to overcome. It does say that a Christian should not marry someone who does not share his or her spiritual beliefs and commitment (2 Cor. 6:14), and that only makes sense. Your relationship with, and commitment to, God and Christ is the most important thing in your life, and that is why you want a spouse who shares that. You also want someone who can love you with the love of Christ and minister to your heart.